New research shows that children are more likely than adults to give in to peer pressure from robots, a disturbing finding given the rapidly increasing rate at which kids are interacting with socially intelligent machines. An experiment led by Anna-Lisa Vollmer from Bielefeld University in Germany is a potent reminder that modern technologies can have a profound effect on children, influencing the way they think and express opinions—even when they know, or at least suspect, their opinions are wrong. 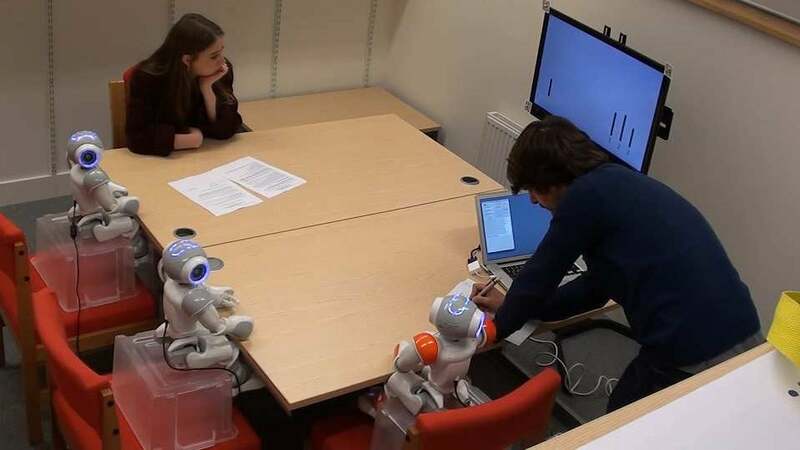 The point of Vollmer’s experiment was to measure the social impact exerted by robots onto both children and adults, particularly the way in which peer pressure from robots might contribute to social conformity. The results, published today in Science Robotics, shows that adults are largely immune to robotic influence, but the same cannot be said of children, who conformed to the opinions of a robotic peer group, even when those opinions were clearly wrong. This research means we need to keep a close eye on the social effects exerted by robots and AI onto young children—an increasingly important issue given the frequency with which children are interacting with social machines. Vollmer’s team used a well-established technique developed by the psychologist Solomon Asch, now known as the Asch paradigm. This technique measures how people conform to others during a simple visual judgement task. 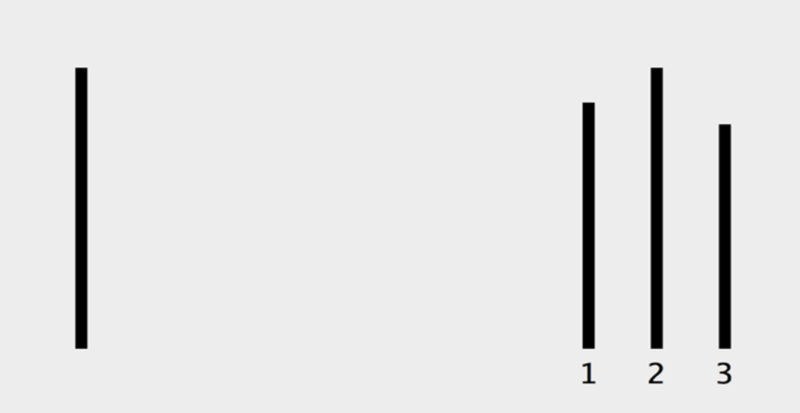 In this case, Vollmer asked her participants to match a set of vertical lines on a computer screen. The test is not hard, as it’s easy to discern which two lines match each other in size. The point is not to test visual acuity, but to assess the ability of participants to resist conformity when their peers provide the wrong answer. The same experiment was done with 43 children between the ages of seven and nine. The test was identical to the one given to the adults, except there was no human peer pressure group; it’s already very well established that kids are more susceptible to social influence. In this case, the researchers wanted to focus exclusively on the influence of robotic peers. 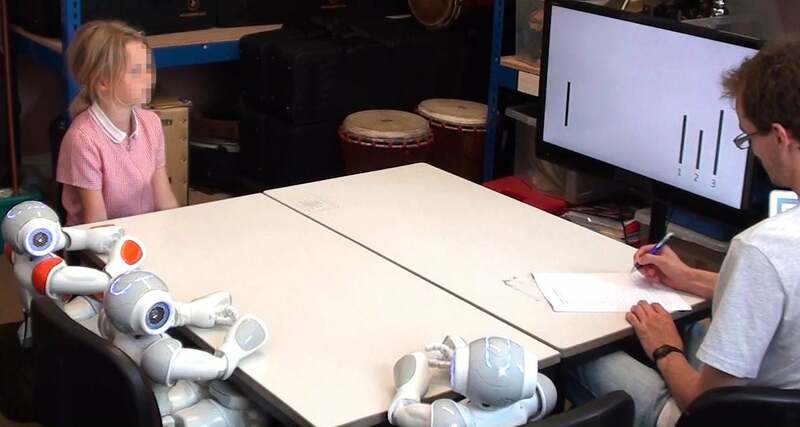 Results showed that, unlike adults, the children were “significantly influenced” by the presence of robot peers, providing identical incorrect responses nearly 75 per cent of the time. In this light, care must be taken when designing the applications and artificial intelligence of these physically embodied machines, particularly because little is known about the long-term impact that exposure to social robots can have on the development of children and vulnerable sections of society. More specifically, problems could originate not only from intentional programming of malicious behaviour (e.g., robots that have been designed to deceive) but also from the unintentional presence of biases in artificial systems or the misinterpretation of autonomously gathered data by a learning system itself. For example, if robots recommend products, services, or preferences, will compliance and thus convergence be higher than with more traditional advertising methods? Subsequently, the researchers recommend ongoing discussions on the matter, such as protective measures like product regulations to minimise risks to children during social child-machine interactions.